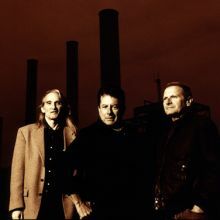 Jimmie Dale Gilmore, Joe Ely and Butch Hancock have been friends for almost 40 years, and members of that not-really-a-band, life-of-its-own musical entity known as The Flatlanders for nearly as long. But when the trio decided to collaborate on songwriting for Hills And Valleys, the fourth in a rather elongated string of Flatlanders albums, they realized it wouldn’t be easy. They’d done it before for one thing, first for the soundtrack to the 1998 film The Horse Whisperer, then for their “reunion” album, 2002’s Now Again. So they already knew they’d be as likely to spend hours trading tales and laughing uproariously as they would trying to agree on a lyric.